These Header bolts have a reduced head for tight space's. Make's it easier to tighten your header bolts with the use of a smaller wrench. Zinc II plated. 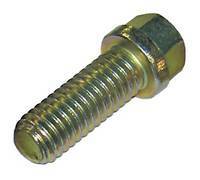 These Header bolts have a reduced head for tight spaces. Makes it easier to tighten your header bolts with the use of a smaller wrench.